Ask anybody who was William Shakespeare and you are certain to get the answer that he was a great English playwright. But is it the correct answer? Was Shakespeare really what he is supposed to be? Did he write the plays that he is credited with? These are the questions that have been puzzling the literary circles since 18th century. Why such doubts about such a well-known literary figure? The answer to this question lies in some facts about Shakespeare himself. Shakespeare used more than 20,000 words in his plays which display a knowledge of law, medicine, history and the ways of the court in addition to a deep understanding of human nature. But where did he learn all this? Shakespeare never went to any school or university. At best he might have attended the grammar school which could hardly impart this much knowledge to him. He couldn’t have got this knowledge from books even. For in Shakespeare’s time books were rarities. There were no public libraries. Even the great Oxford University library had only a few hundred books which were considered so precious that they were kept chained to shelves. Shakespeare never ventured beyond the English shores. Even then some of his plays set in Italy display a very intimate knowledge of the lay of that land. So how did Shakespeare know about the places, mountains, directions and even roads of a foreign country without ever going there? He could not have learned all this from maps which in his time were very much elementary. Still another puzzling fact is that there was no mention of Shakespeare on the first plays that are said to be written by him. His name appeared in print for the first time on Love’s Labour Lost in 1598, full five years after his first work came out. Why this anonymity? 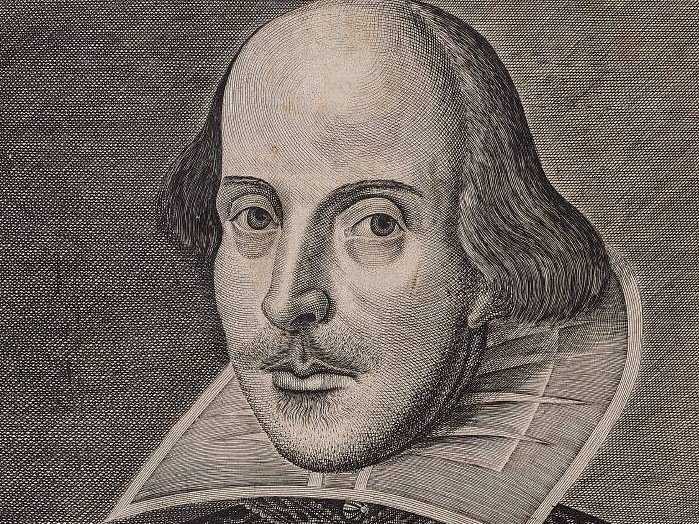 Why did Shakespeare delay so long to claim the authorship of his works? 18 plays of Shakespeare came out only after his death. But the surprising thing about this is that there is no mention of them in Shakespeare’s will which is a very detailed document listing his properties with instructions about how to deal with them. But nowhere in it does Shakespeare allude to his unpublished plays which certainly were his most prized possessions. Does the silence of Shakespeare about these plays mean that they were not his after all? And if that was so, who wrote them? As there are no clear answers to the riddle of Shakespeare, the doubting scholars are of the view that somebody else has written the plays that are credited to William Shakespeare. Suggested substitutes of Shakespeare include Edward de Vere, the talented Earl of Oxford; Francis Bacon, the great philosophic genius; Mary Sidney, the Countess of Pembroke; and Christopher Marlowe. All of them were learned, widely traveled and prominent literary figures of the day and might have had a reason for writing under an assumed name. But there is no agreement among the scholars about any of these substitutes. On the other side of the fence are scholars who have no doubts about Shakespeare at all. In fact they assert that Shakespeare indeed wrote the plays and there should not be any question regarding his authorship claim at all.